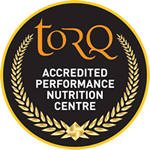 TORQ’s new acquisitions, Leeds University CC travelled up for the Student National MTB Championships at Innerleithen on March 19th-20th. 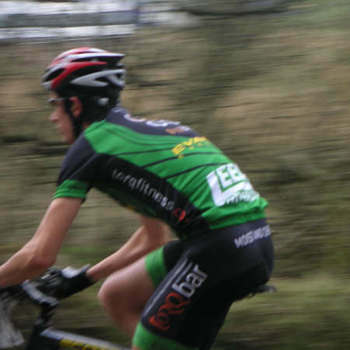 The team had high hopes for success after a work hardy winter, which had already seen them crowned Hillclimb and Cyclocross champions along with strong individual performances. Being held in Scotland it was bound to be hilly and Innerleithen proved no exception. The XC course itself consisted of one BIG climb of around 20-25mins starting from the car park, up some gravel switchbacks, onto some fire road and then a sharp right up a lung busting muddy slog to get hearts pumping. This was followed by an extremely technical downhill and a fast rollercoaster downhill complete with drops ands jumps. 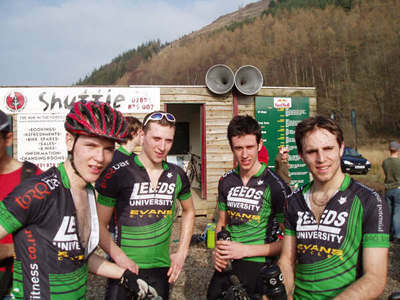 Saturday pre-rides confirmed the course was tough but suited Leeds who have the Yorkshire climbs to train on. The main event on Saturday however was the Downhill with 5 of the Leeds contingent entered. It was by their accounts sheer hell with massively rutted corners and braking bumps aplenty. Despite this some solid performances were put in, James Coleburn 61st, Tom Humphrey 106th, Charles Ruse 113th, Myke Harrison 126th and Phil Messam 179th (after some mechanical trouble and only one run) leading the team to 20th overall in the face of tough opposition. Sunday dawned and brought with it blue skies for the days XC racing. With Championship teams being limited to 4 riders per institution there was several strong riders from Leeds in the Sport race. Championship contender Matt Clinton led from the gun and had an impressive 2 minute gap by the top of the first climb. Matt continued to forge a bigger and bigger gap while other Leeds riders got stuck in and battled for top 20 positions. By the end of the second lap Matt came across the line 7 minutes (!) making it look too easy and had plenty of time to think about his finish line celebrations. After a little wait Leeds riders started to flood through with Andy Taylor 9th, Chris Urmston 11th, Tom Chesters 13th, Myke Harrison (singlespeed) 16th, Ian Nixon 20th, Chris Dyson 33rd and Robbie Brown 39th from 91 finishers. With all the high placing Leeds finishers the Sport team prize was easily in the bag by 8 minutes from Loughborough. 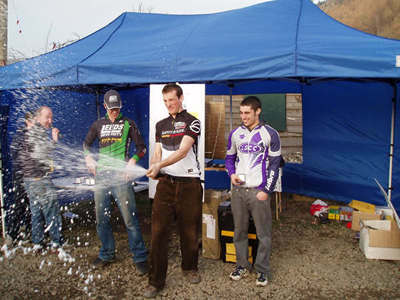 Next up was the Championship races with Leeds riders in both the Men’s and Women’s categories. The men’s race was up first which included among its entrants several current UK elite riders and last years champion Simon Ernest. Among the favourites was Leeds’ BUSA cyclocross champion Will Simmons and a strong team challenge was expected from Loughborough who’ve had it easy for the last few years. The start was fast and furious with the higher seeded riders jostling for position on the first climb while the lower seeded riders battled to get through the bottleneck. The pace from the top riders was hard and the race began to string out from the offset with Southampton’s Ross Adams leading the charge with Simmons snapping at his heels. Adams punctured on the first descent leaving Simmons in the lead coming round to finish the first lap.  Meanwhile the rest of the Leeds team were sorting the wheat from the chaff were starting to sweep up the field from their lower starting positions. Simmons remained in the lead until the descent before the start of the second lap where he was caught by Ernest. The 2 remained together until the top of the climb where due to an imminent cramp Simmons was unable to follow Ernest’s attack. Other Leeds riders were showing the hard winters training as they looked strong while others faltered. Tony Salmon was riding high in 5th, followed closely by Tim Burnett and Dave Wright with Loughborough riders in their sights and knowing that every second counts. Looking resplendent in the new kit the team battled hard and Will Simmons came round in 2nd, Tony Salmon 6th, Tim Burnett 9th and Dave Wright 14th to round off a great day for the club. However we’d been hard pushed by Loughborough who’d managed to get all 4 riders in the top 11 and it was a nervous wait to see if we’d got the team honours. The results came through and Leeds had beaten Loughborough by 33 seconds for 3 riders in a time of 5h29m12s and demolished 3rd place finishers Cambridge at 34 minutes. 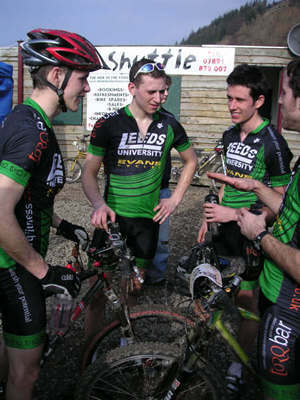 With the MTB champs added to the Hillclimb and cyclocross, Leeds confirmed themselves as THE force in student cycling. 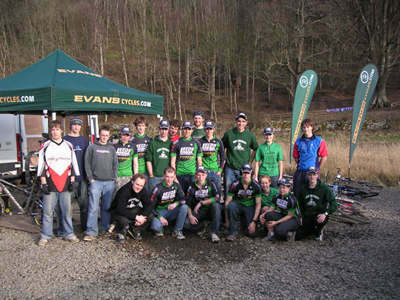 Thanks to our Sponsors TORQ for their outrageously good deals on energy stuff and Evans for the use of EZ-Up, tools and workstand, which all helped to make the weekend a resounding success and showed the other teams how it should be done.